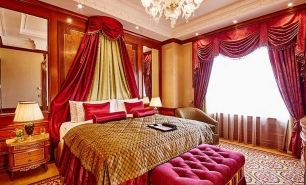 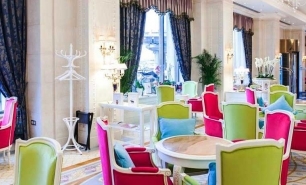 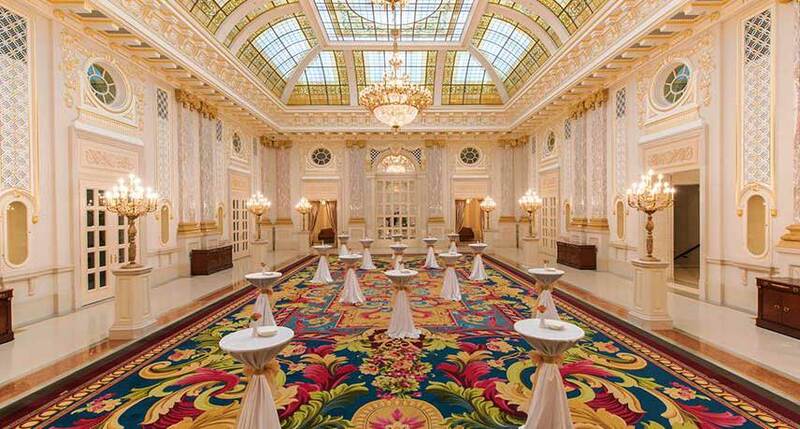 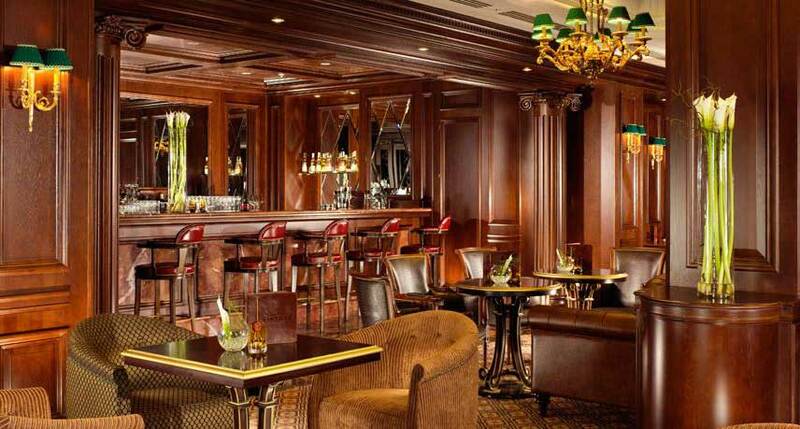 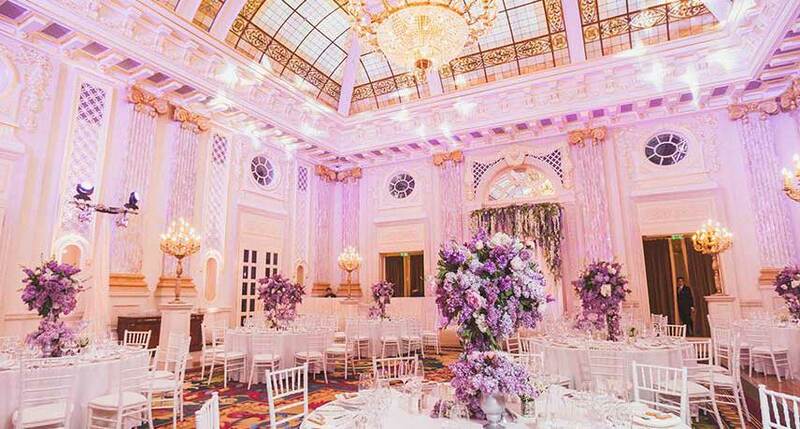 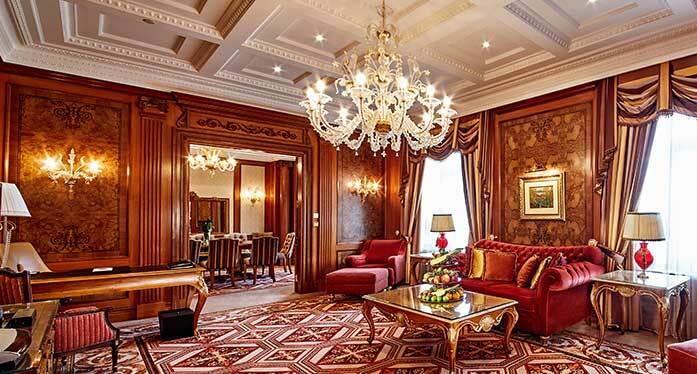 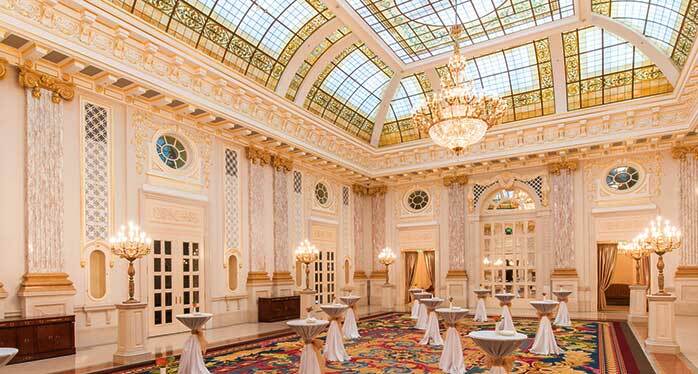 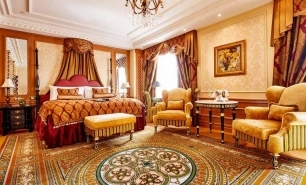 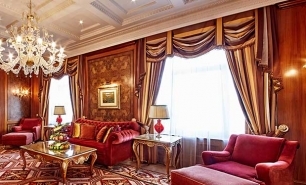 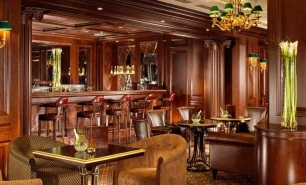 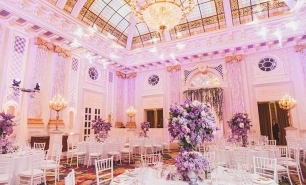 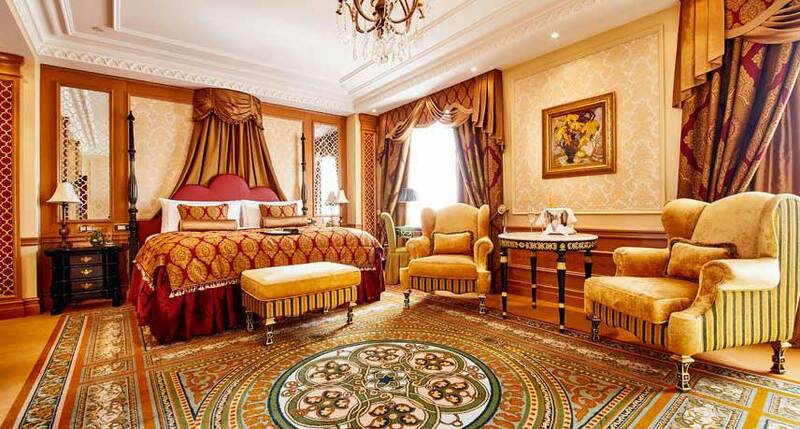 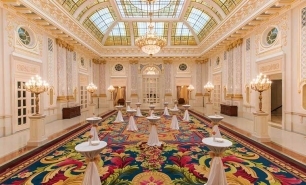 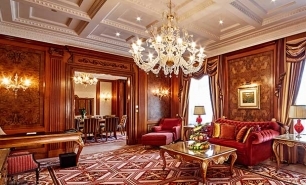 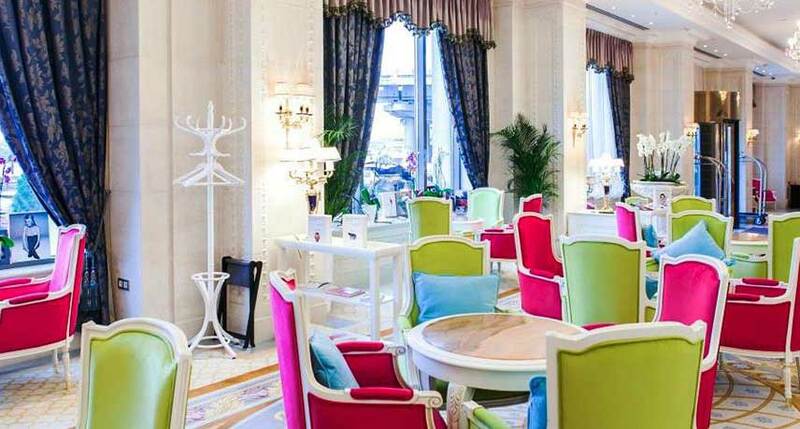 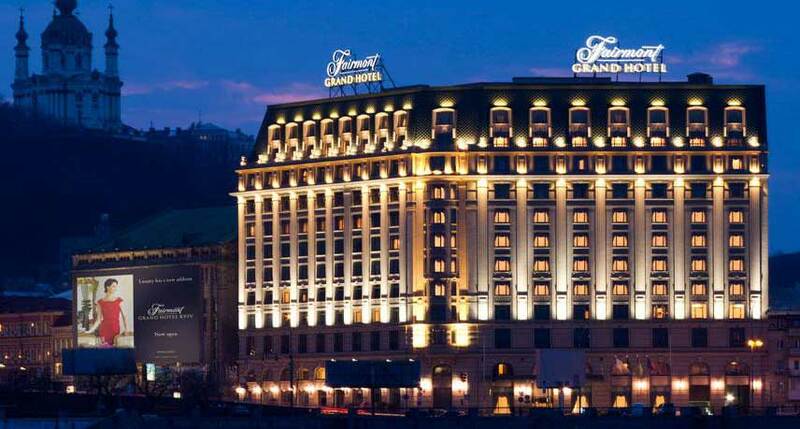 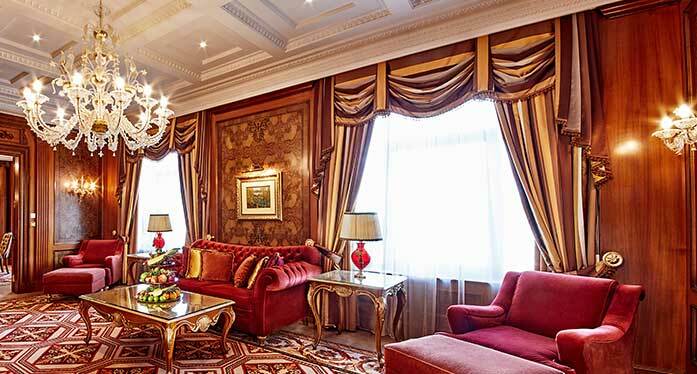 Fairmont Grand Hotel Kiev is considered Kiev's top luxury hotel. 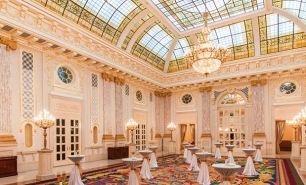 The classically designed hotel reopened in 2012 following a complete renovation. 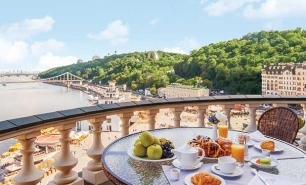 It is located in the centre of Kiev on the banks of Dnieper River, close to key business and government locations and Kiev’s landmarks such as St. Sophia Cathedral and St. Michael's Golden-Domed Monastery. 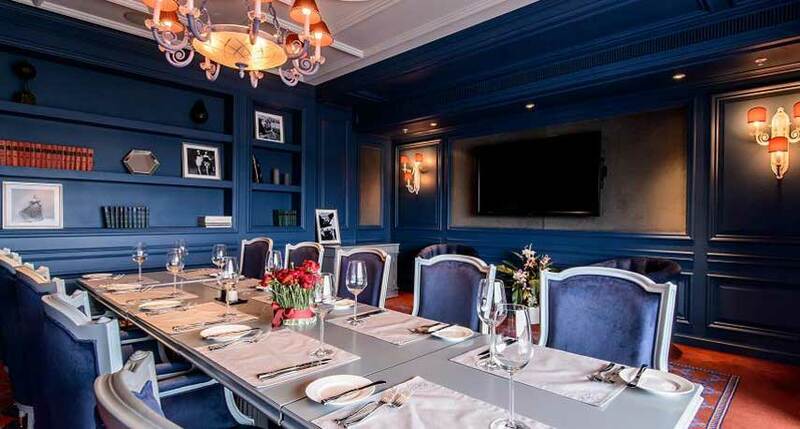 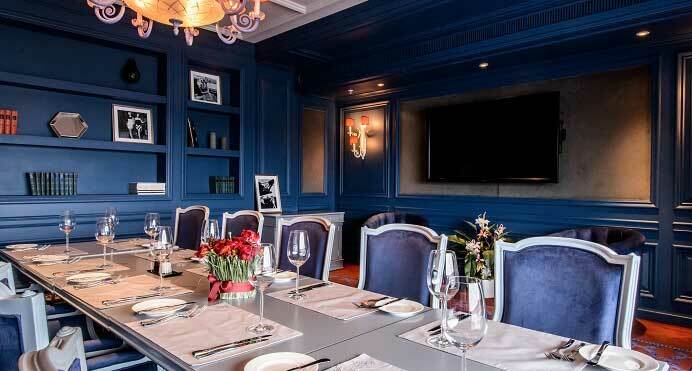 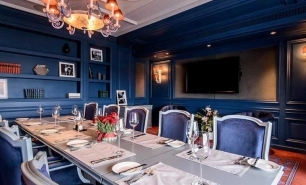 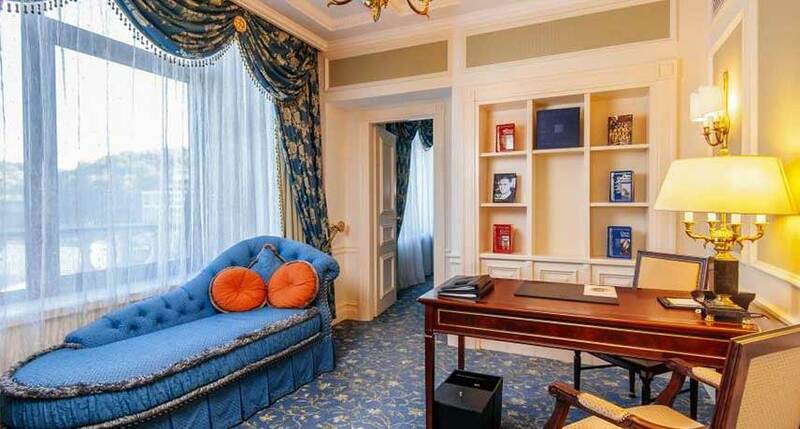 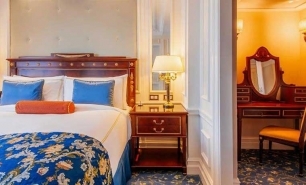 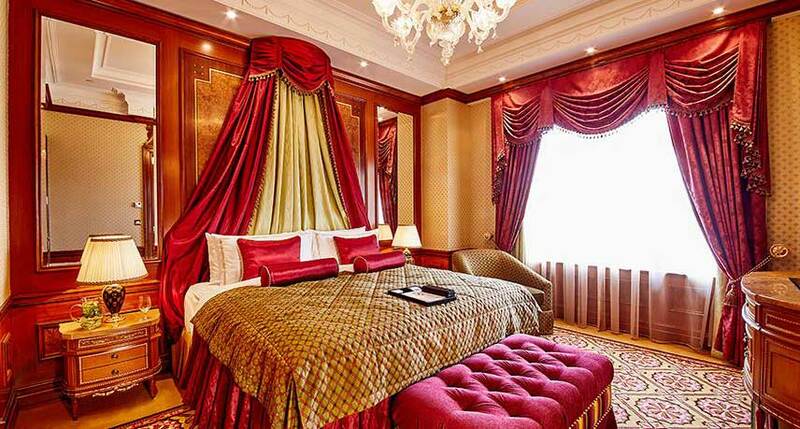 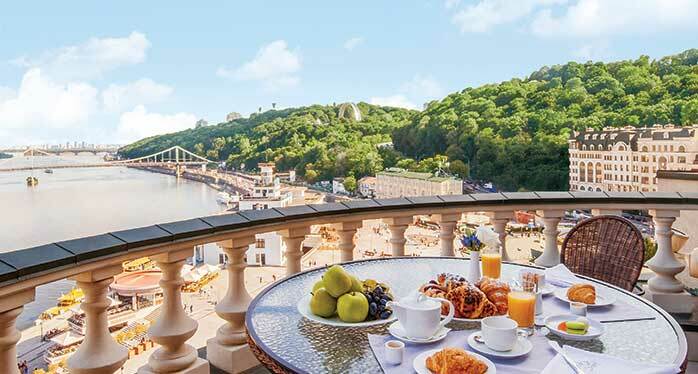 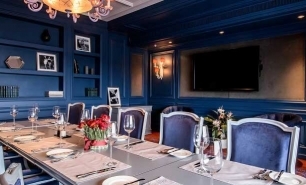 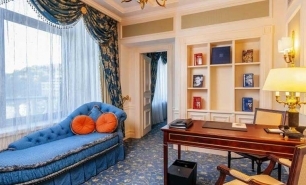 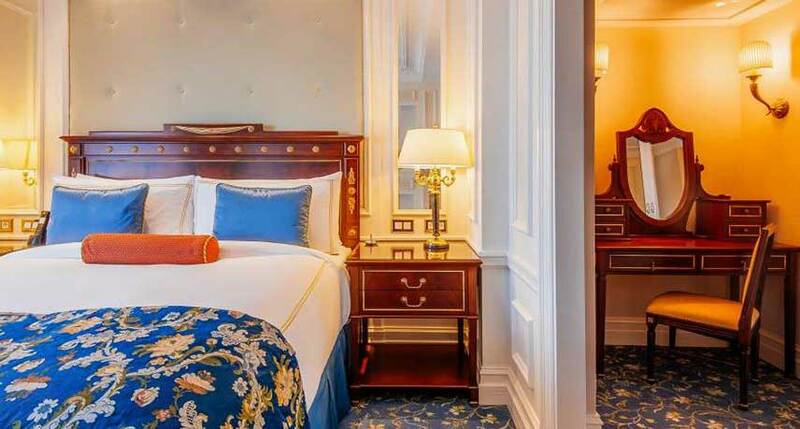 The hotel has 204 rooms (40-70sqm) and 54 suites (51-96sqm) including the Royal (220sqm) and Presidential (166sqm) suites, offering excellent views of Podil Square and the Dnieper River. 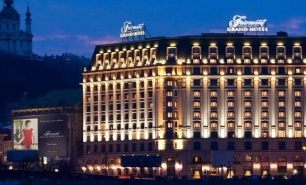 The Fairmont Grand Hotel Kiev has excellent bar and dining venues, including, the Grand Cru Champagne Bar and the Vintage Cocktail Bar, which offer classic cocktails, cigars and world-class shisha; The Strand Grill, a contemporary restaurant featuring local and international cuisine; and the art nouveau-influenced Atrium Lounge and Pâtisserie, which operates 24 hours a day and offers an international selection of beverages and afternoon tea. 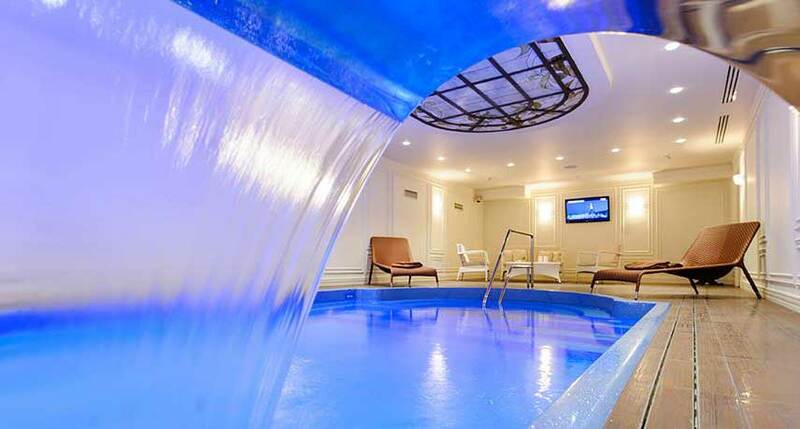 The hotel’s 641sqm spa has six treatment rooms, a relaxation room, sauna and a beauty salon. 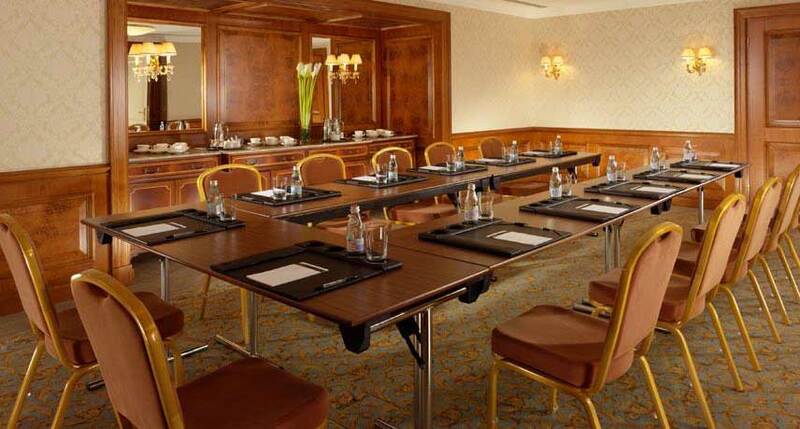 The hotel also offers a fully equipped fitness centre and access to an indoor/outdoor tennis club. 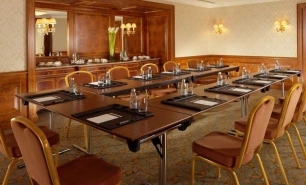 The hotel offers 1,210sqm of meeting and function space and a fully equipped business centre with 24-hour access as well as secretarial services. 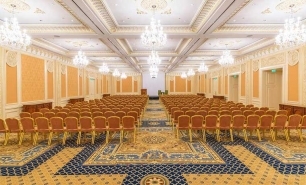 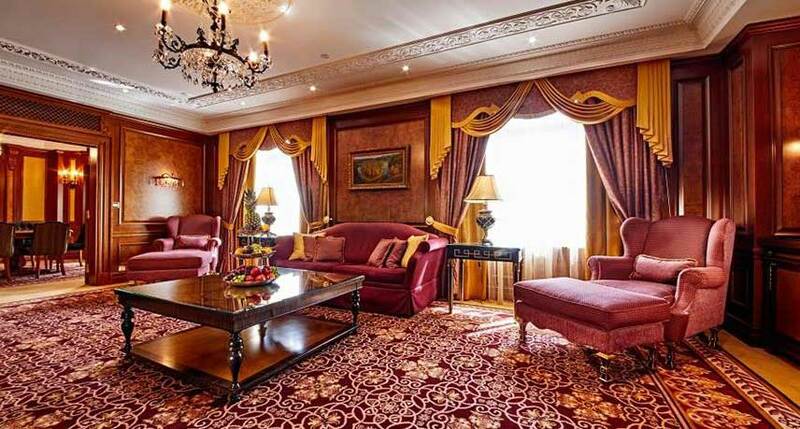 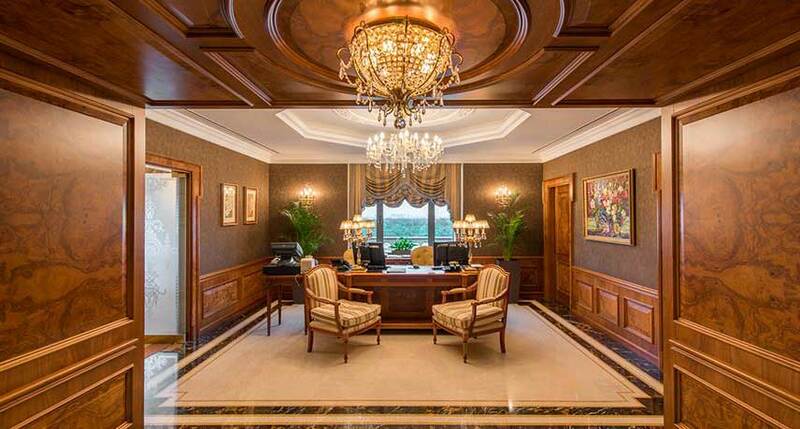 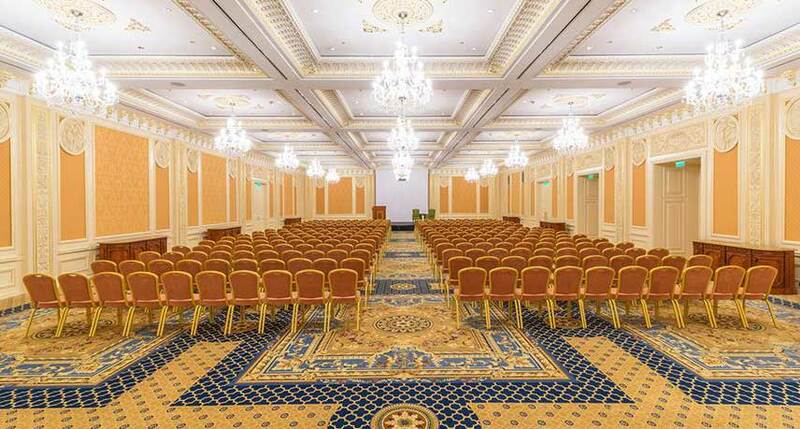 The Fairmont Grand Hotel is 39km (35-50 minutes) from Kiev Boryspil Airport (KBP).